All women deserve a little flair. Even woman who are fighting the good fight. Especially those women. You should have a little flash. Something to catch the eye of everyone you pass by. You need something, like every woman does, to protect yourself against the weapons of men. 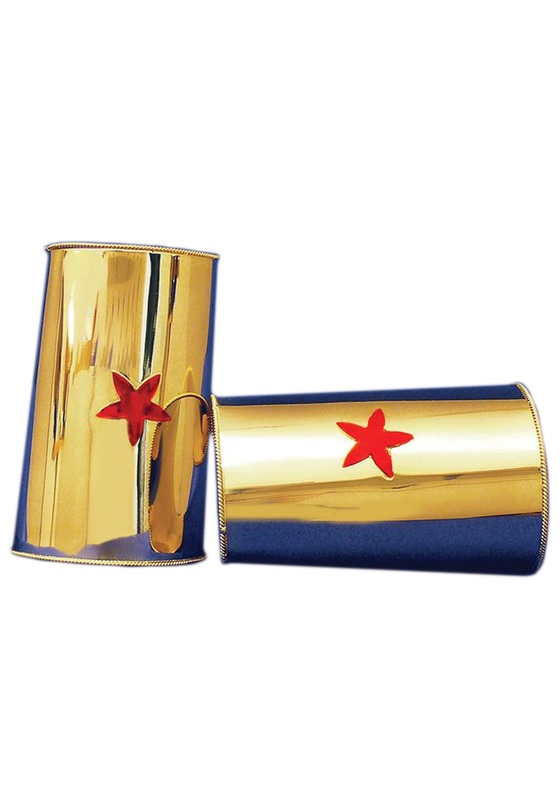 You need these Red Star Gold Cuffs. They will keep you safe by letting you deflect small gun fire. They are able to reflect light into the eyes of your enemies, momentarily blinding them, and giving you the upper hand. And lets be honest, they are just so pretty. The gold glinting on your wrists would surely make you stand out in a crowd. People will be able to look at you, and know you are someone wonderful. One of the stars fell off before I opened package. Neither of the cuffs fit my wrists/arms properly. Very awkward, looked terrible. Super high quality and stunning. 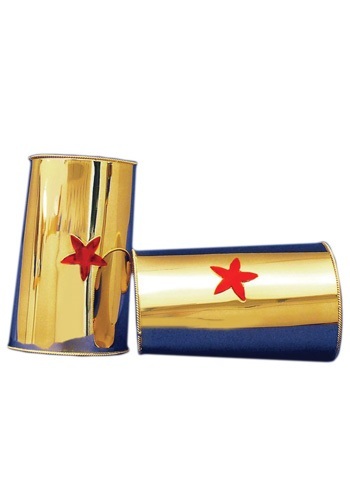 Very nice quality---makes the Wonder Woman outfit complete.